The gig economy truly never sleeps, making it incredibly easy to miss important announcements. Fortunately, we’ve outlined everything you need to know in this week’s on demand news roundup. ParkWhiz, the Chicago based on demand parking startup, raised another $5 million in its latest round, led by Amazon. Amazon’s Alexa Fund was joined investors Alate Partners, Chaifetz Group, and Purple Arch Ventures. While $5 million is nothing to scoff at, the latest equity harness comes two months after ParkWhiz announced a Series D investment round of $20 million. In total, the company has raised a whopping $61 million over five funding rounds. Currently, the service is utilized by commercial parking operations as a way to reach new customers. In the future, ParkWhiz may have the opportunity to expand their offerings to standard business lots and residential locations for special events, like concerts and football games. Combined with the level of investor interest and potential for growth, this is one of the companies you should keep an eye on as they make their way to IPO. Known for their American muscle cars and pickup trucks, Ford is taking a solid step toward sustainability by entering the e-scooter industry. The automotive company purchased Spin, a San Francisco-based scooter startup, for $100 million. While it’s not Ford’s first step into the scooter-share industry, the acquisition is their first secure move. Previously, the automaker tested a scooter rental service at Purdue University. Ford isn’t the only company looking to expand outside of the auto industry. As we reported last week, GM is launching two new e-bike models next year. Both expansions are a necessity with today’s cultural shift toward more eco-friendly modes of transportation. Yet, the e-scooter and e-bike industries are quickly becoming saturated, so the long-term sustainability of such moves are uncertain. GM’s on-demand car rental service, Maven, is making some changes to its service restrictions over the next year. Soon, owners of non-GM vehicles will be allowed to utilize the platform for short-term rental listings. Previously, Maven only hosted newer GM vehicles, which restricted the offerings for users. The move by Maven means GM is now directly competing with companies like Turo, Getaround, and Hyrecar. The news of the service expansion comes as the company prepares their game plan for new market development in Canada. While Maven owns an in-house fleet of on-demand rentals, expanding its peer-to-peer service offerings is a smart shift for the company. The expansion opens up the platform to a wider variety of vehicle owners, which provides more options for gig workers, like Uber and Lyft drivers. Considering the company still makes a profit off of every rental transaction — whether it’s their fleet or not, the new arrangement is sure to bring in more customers and make them a solid competitor in the car-sharing industry. Given that GM is moving more firmly into the car sharing space, don’t be surprised to start hearing buzz about another automaker acquiring Turo or Getaround. As we predicted a few weeks ago, Instacart has made yet another move to spur growth. Last week, the on-demand grocery delivery service announced it’s expanding its store-pickup service. 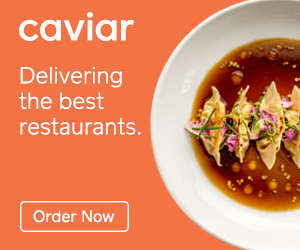 Instacart Pickup allows customers to order their groceries through the app, but instead of having them delivered to their home, they simply stop by the store to grab their completed orders. Currently, the service option is limited to select areas, but by 2019, it’s set to reach over 200 stores nationwide. Even with the pick-up option, it’s unlikely that Instacart will suffer any losses on the delivery service. Instead, it will bring in more clients who want the convenience of on-demand grocery shopping without the additional cost of delivery. Such a growth opportunity is exactly what Instacart needs as they prepare to take on Amazon in the on-demand grocery sector. After a couple weeks of silence, the rideshare powerhouses are once again making battle moves. On Monday, Lyft announced the launch of its new loyalty program, Lyft Rewards. The initiative offers users points for every ride they take. Riders can then transform their rewards into discounted service costs or ride upgrades. Just days later, Uber announced its “first-of-its-kind” rewards program with four different membership levels. Uber users will now earn points that, once accumulated, will be redeemable for Uber Cash. Lyft’s market debut is quickly approaching with an expected Q1 IPO. As a result, every move they make in the coming weeks is carefully strategized to boost their valuation, secure customer loyalty, and become a solid competitor against Uber’s Q2 or Q3 IPO. Yet, this is really only the beginning of this rideshare war. Both businesses need to make smart moves to secure long-term survival. What a busy week! Now that you’re all caught up, what do you think about the new trend of automakers setting their sights on the on-demand industries? Ford and GM may be the first, but they aren’t likely to be the last. Check back next week to find out what major changes have rocked the industry! Getaround vs. Turo vs. HyreCar: Which Should You Rent From? 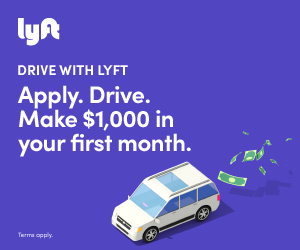 Previous Post: Lyft Drivers Suggest Default Tipping – Lyft Says Yes!